By: William C. Head, DUI Lawyer explains how Field Sobriety Tests are designed for the individual to FAIL! The three-test battery of standardized field sobriety tests used by police investigating a DUI suspect fall into two categories. One is a psycho-physical test (the HGN eye test) and the other two (walk-and-turn and one-leg-stand) are divided attention tests. None of the 3 police tests prove sobriety or lack or sobriety, which is your starting point of debunking the NHTSA field sobriety test “battery” of roadside evaluations. The original 1977 studies of Burns, Moskowitz and others in the Southern California Research Institute analyzed about a dozen divided attention tasks, but Dr. Burns saw a need to use SOME other type of roadside evaluation to be able to claim a higher degree of precision and accuracy for police to make their arrest decisions. So, she gathered information on the horizontal gaze nystagmus test, which is based on physical changes in the eyes that CAN be cause by alcohol, at certain BAC levels. The medically-based test was added to the 3-test battery, in 1981. At a roadside pullover for a traffic ticket or at DUI checkpoints, no medical doctor or eye doctor examines you or measures the extent of any nystagmus. Neither does anyone with a medical background quantify horizontal gaze nystagmus (or vertical gaze nystagmus) for predicting a patient’s BAC alcohol level. When suspected of drunk driving or drugged driving, that driver will be aggressively asked to participate in roadside screening tests, NONE OF WHICH is mandatory. By asking to FIRST speak to a lawyer, you can stymie their efforts, but police know that you can WITHDRAW the request for an attorney, and some keep trying to get you to self-incriminate. Yet, if a detained person does not exercise his or her constitutional right to remain silent and to NOT participate in ANY roadside tests, then he or she is HELPING police get a conviction. All that is required from you is NAME and ADDRESS. Knowledgeable criminal defense lawyers tell their clients to exercise all of the constitutional protections that both the federal US Constitution and the remarkable state of Georgia Constitution provide to us. No more than a man would let a police officer give him a “sports” exam, and turn your head and cough, or a woman would let a police officer perform a pelvic exam should you allow a police officer to give you a MEDICAL test, to create “junk science” “evidence” to be used against you in a criminal case. These evaluations are VOLUNTARY. No penalty for your driver’s license will follow, and the Georgia Constitution allows you to NOT perform any act that can self-incriminate you. Art. 1, Section 1, Paragraph 16. Your well-trained DUI attorney will tell you that police officers use this DUI screening evaluation in their quest to bolster a questionable DUI arrest decision. The subjectively-graded evaluations will be a major part of your prosecution for driving intoxicated, which is called DUI less safe GA. This “unscientific” guesswork by police of DUI field test results is virtually unregulated, and has no role except to try to justify a DUI less safe arrest. In the overwhelming majority of drunk driving arrests, the HGN test is flawed, due to a variety of shortcomings. A fully trained DUI lawyer, with vast experience in debunking the field sobriety test procedures, has the best chance to beat a DUI that is dependent on a jury accepting field sobriety test evidence. This is critical, since Georgia appellate cases allow the State to win a driving under the influence case (called “Georgia DUI less safe”), based primarily upon these inherently-unreliable, flawed, so-called “sobriety” roadside tests. Georgia law permits this as being justified by you WILLINGLY participating. This pro-prosecution stance of our appellate courts has endured over three decades of litigation, despite the fact that field sobriety tests are in NO WAY correlated to driving impairment. Your DUI attorney will seek, at pre-trial motions or trial, to neutralize field sobriety tests. This effort at a trial may require one or more DUI expert witnesses to convince the judge or a jury of the “junk science” being touted by police officers. So, when your drunk driving lawyer advises that this is the route you need to go, pay for the expert or experts who are needed. A DUI law firm that specializes in DUI defense is the answer. 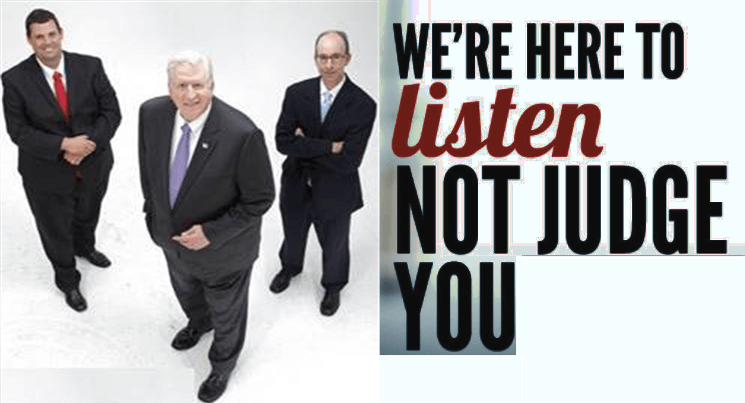 Atlanta DUI lawyer Bubba Head, along with his partners Larry Kohn, DUI attorney Atlanta, and ex-cop Cory Yager, the third DUI specialist law partner, is also a skilled drunk driving defense lawyer when it comes to aggressively defense a DUI in Georgia. Almost all officers do the HGN test incorrectly, by either holding the stimulus too high (as in the image shown above), too low, or too close to the person’s face. These errors CREATE nystagmus, even in field sobriety test subjects with low BAC levels or zero alcohol in their system. The robustness study shows a 61.1% error rate for a stimulus that is held too high, at 4” or more above eye level. The nystagmus test begins to reveal “clues” in a test subject’s eyes for drinking drivers whose alcohol content is at a very low BAC level, such as 0.04 or even lower. Police officers are taught that ONLY those who are 0.10 or more will reveal 4 or 6 clues. [Later training claims a HIGHER percentage of reliability for identifying people at a 0.08 grams percent, but common sense negates the likelihood of this being possible.] 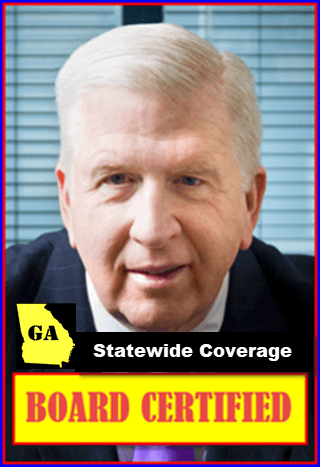 Georgia DUI laws – and most states’ drunk driving laws – give a driver a rebuttable presumption that a BAC level of 0.05 or less as being NOT impaired. Medical experts confirm that the DUI eye test is “overly sensitive” in terms of revealing four (4) or more clues in people who are above the legal alcohol limit and others below the alcohol legal limit. This factor reveals a substantial error rate, and shows why police training is misleading and encourages officers to parrot FALSE statistics in criminal court proceedings. When the evaluation is done incorrectly it is useless, since standardization is not being followed, and the very limited utility the HGN eye test offers is lost. Yet, Georgia courts often let it in anyway, and false convictions have been obtained on a bogus evaluation for “sobriety.” Your best protection against a false conviction is to hire the best DUI lawyer available for your criminal case. NHTSA training on the HGN test, at the standardized field sobriety test course, is ambiguous. The INSTRUCTOR manual tells officers to ask relevant medical questions about eye conditions and defects, as well as medications that may trigger HGN, but the PARTICIPANT manual used by the police officers being trained lacks a reasonable checklist for such pre-existing causes of horizontal gaze nystagmus, other than by alcohol nystagmus. The training manual tells them to assure equal pupil size, and to hold the stimulus still at center point to look for “resting nystagmus.” Beyond these medically-insufficient “checks,” the officer only has the non-scored “equal tracking” procedure to look for visible medical anomalies. This creates a deficient and flawed “screening” protocol that no medical practitioner would sanction. On the second scored HGN test, “sustained and distinct nystagmus at maximum deviation,” most officers cut short the “minimum of 4 seconds” requirement. This does not meet NHTSA training, or the “standardization” that was supposed to be the benchmark of the NHTSA standardized field sobriety tests. 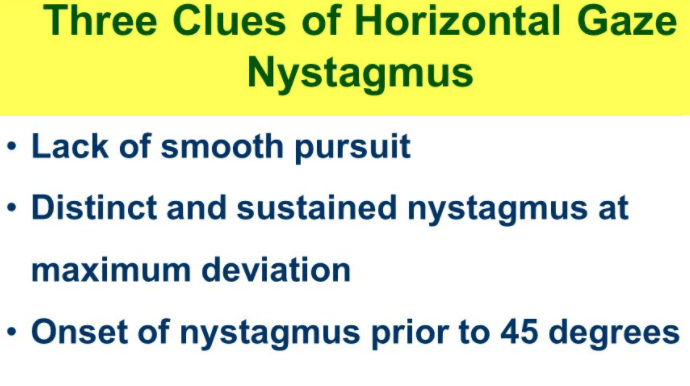 On the final HGN test, “onset of nystagmus prior to 45 degrees,” almost no officers understand this or grade or comply with NHTSA training. 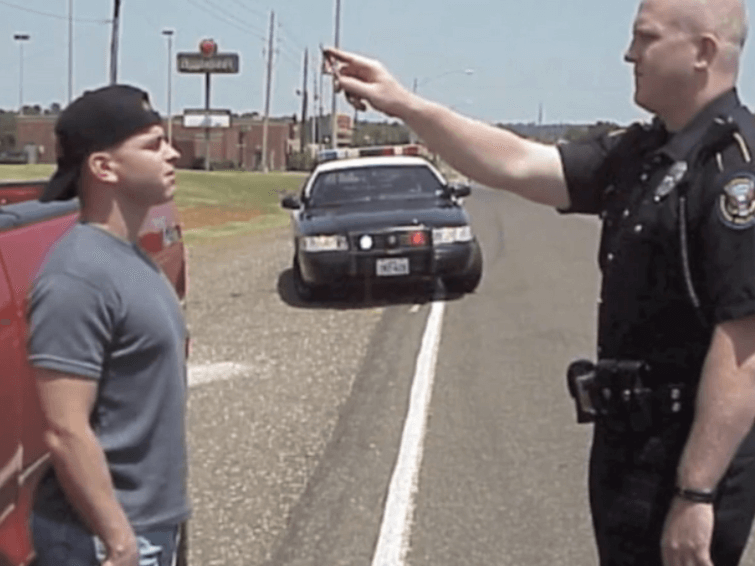 Issues exist in about 90% of DUI arrest videos relating to the timing for SLOWLY taking the stimulus out to 45 degrees, or continuing past 45 degrees, WHEN early onset of nystagmus is observed. Plus, some officers only do this pass one time, to each side. NHTSA standardized field sobriety test protocol mandates TWO for each and every pass of the stimulus, at a minimum. Prosecutors in most of the larger prosecutor offices are required to take the NHTSA field sobriety test 20-hour practitioner course. Once they take the course, they must attempt to do these “passes” for the HGN test, just like officers learn to do them. It is far more detailed and difficult than you think TO DO IT CORRECTLY. For our DUI attorneys, having this advance level of field sobriety test procedures is a major key to know how to beat a DUI. The raw data produced from this study, however, does not support these reliability rates, since both false positives and false negatives were not all factored in. Controlled studies by medical eye specialists (Dell’Osso and others) have proven that more than forty-five OTHER horizontal gaze nystagmus causes can be present, and “fool” the officer into believing that what he or she is seeing is alcohol nystagmus, to the exclusion of all other possible sources of gaze nystagmus. Dr. Greg Kane, MD, has written extensively about how an innocent person can be arrested and falsely convicted due to “bogus” mathematics being claimed by the field sobriety tests, in the Burns and Moskowitz studies. Most DUI attorneys have never heard of Dr. Kane, or his great web site, www.sfst.us . He is very passionate about debunking fake science. Performing the three SFSTs 100 times allows a scientist to show the correct answer, and what degree of ACCURACY exists for X percent of the time. That’s what NTHSA teaches DUI law enforcement officers. Accuracy is more complicated than this answer claims to prove. Below is a Field Sobriety Test accuracy table from NHTSA’s original 1977 “scientific” divided attention tests validation project, Psychophysical Tests for DWI Arrest 1977. The labels used here, by Dr. Kane, are more logically named. In this project each person tested had two TYPES of readings (measurements) collected: a blood alcohol measurement via a breath alcohol test device, and from Field Sobriety Test performances. The question at issue boils down to, “what percent of the time did the field sobriety test measurements correctly predict the alcohol measurements?” The answer to that question will be the accuracy of the standardized field sobriety tests, when done PRECISELY in accordance with standardized procedures. Note the TARGET of the field sobriety tests is alcohol measurements, meaning whether or not the person is at or above the legal alcohol limit. These roadside evaluations do not and cannot predict or detect “impairment by ethanol (alcohol) ingestion. 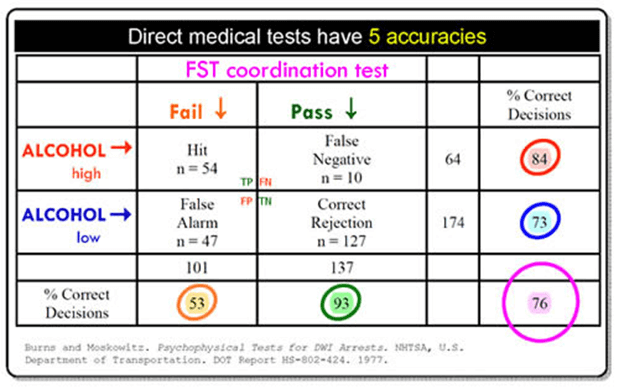 In this legal seminar presentation, Dr. Marcelline admitted that the field sobriety tests DO NOT prove impairment, cannot (in any way) tell which test subjects had certain BAC concentration. Yet, police officers are constantly trying to claim that the “clues” or “cues” indicate IMPAIRMENT. This is false, and your DUI attorney should object and have that bogus testimony stricken from the records. The table below sorts the people tested in 1977 by test result. Look under the pink label FST coordination test. People who failed the FST were counted in the Fail ↓ column. People who passed were counted in the Pass ↓ column. Over on the side graph, people whose measured alcohol was high went in the ALCOHOL high → row. People whose alcohol was low went it the ALCOHOL low → row. Tables like this set up True Positive, True Negative, False Positive and False Negative results in a way that makes it easy to answer important questions about this FST. Dr. Spurgeon Cole, Ph.D., an expert in “testing and measurement,” co-authored a 1994, peer-reviewed scientific article, in which he showed how divided attention field sobriety tests have a 46% false positive rate, which is virtually the same percentage (47%) that Dr. Burns’ team had (47 of the 101 “false positive” tests in the 1977 California study. The Cole study used experienced law enforcement officers, with nearly 12 years as their median level of experience. Plus, only the HGN is a “psychophysical test,” and the other two (WAT and OLS) are divided attention/balance tests. So, if a person “looks okay” on the WAT and OLS, and the HGN test is excluded from trial at a pre-trial motion, the accused citizen usually wins when the accused is represented by a highly-trained and SFST qualified DUI lawyer. Beyond the basic PRACTITIONER course, our Atlanta DUI attorneys – all of them — have also taken and passed the NHTSA Field Sobriety Test INSTRUCTOR course. This training separates our DUI law firm from others, and is an advantage for our clients at motion hearings or at trial. Hire a DUI lawyer who has more HGN test training than the police officer in your case. That is how you win, when other criminal defense attorneys can’t. For FREE legal advice, you can call an Atlanta criminal defense lawyer at our DUI law firm RIGHT NOW, professional lawyer consultation with one of our DUI attorneys. Dial our criminal attorneys at 404-567-5515. Our DUI defense attorneys are experts in challenging the field sobriety tests. With any of our three partners, you will be speaking to a DUI lawyer with thousands of drunk driving cases under his belt. 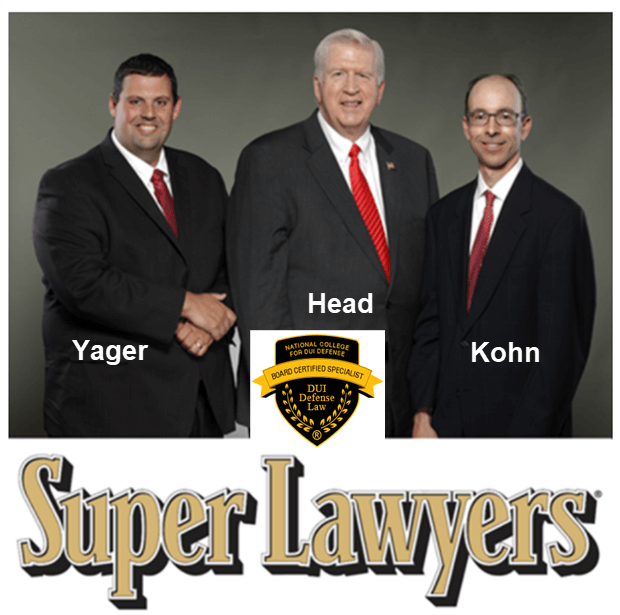 Our Atlanta DUI lawyers, Bubba Head, Larry Kohn, and Cory Yager are ready to assist you. Call us at 404-567-5515 or 1-888-DUI-HEAD [1-888-384-4323] 24 hours a day.